A new breakthrough in solar technology means portable electronic devices such as e-book readers could soon be re-charged on the move in low light levels and partial shading. Scientists from the University of Warwick, in collaboration with spin-out company Molecular Solar, have created an organic solar cell that generates a sufficiently high voltage to recharge a lithium-ion battery directly, without the need to connect multiple individual cells in series. Modules of these high voltage cells perform well in different light conditions including partial shade making them well matched to consumer electronic devices such as e-book readers, cameras and some mobile phones. Organic photovoltaic (OPV) cells, the so-called ‘third generation’ of solar technology, offer exciting opportunities thanks to the potential for very cheap manufacture, lightweight, low profile photovoltaics compatible with flexible substrates, which means they are ideally matched to portable electronic device applications. This new OPV technology is a significant breakthrough as scientists have addressed the problem of low out-put voltage when the module is in low light levels or partial shading taking an important step towards rolling out cheap OPV cells in low-power portable electronics. The scientists, from the University’s Department of Chemistry, have demonstrated a cell with an open circuit voltage of over 7V which delivers maximum power at more than the 4.2V needed to power a standard lithium ion battery. This is the first time these features have been demonstrated using ultra high voltage OPV cells. Professor Tim Jones, one of the lead researchers at University of Warwick, along with Dr Ross Hatton and Professor Mike Shipman, said: “We have taken a big step towards cheap-to-make solar chargers which can top up your devices whenever they are being used – both indoors and out. “A small light-weight solar charger no bigger than a credit card can be fitted to the battery of an e-book reader for example, and constantly top it up with power while you are reading it - even if you are sitting inside on the sofa. “Alternatively, this kind of solar cell could be ideal for outdoor use as it is light-weight and portable. The research is detailed in the paper Ultra-high voltage multijunction organic solar cells for low-power electronic applications and was published in the journal Advanced Energy Materials. Crucial pieces of equipment used in this research were funded through the Science City Research Alliance (SCRA) Energy Efficiency project. Molecular Solar is soon to launch a new round of fund-raising to support the commercialisation of this technology. 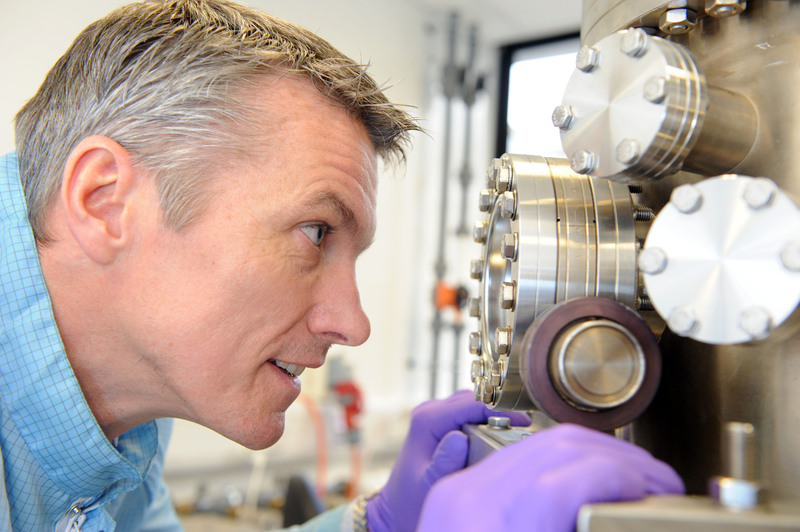 The University received funding from the Engineering and Physical Science Research Council (EPSRC) and the Technology Strategy Board (TSB) to go towards this research. Note for editors: SCRA is a strategic research partnership between the University of Warwick and the University of Birmingham with a specific remit to work with businesses across the region. It has benefited from a multi-million pound investment in equipment and research infrastructure across both institutions via Birmingham Science City and the European Regional Development Fund.